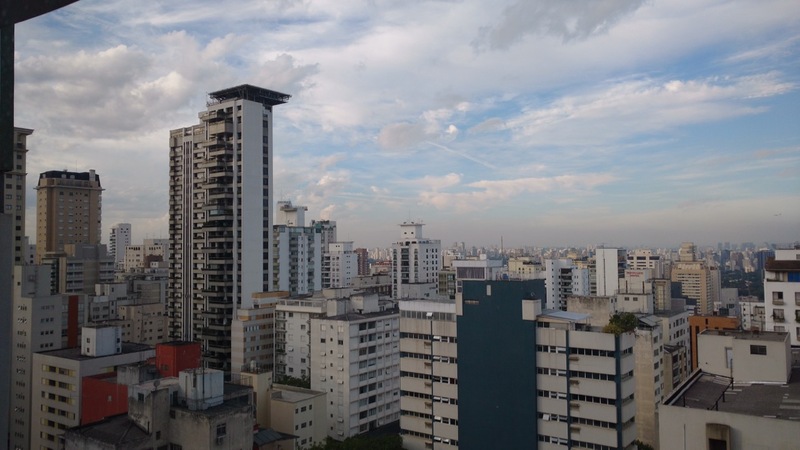 I work at Automattic on the WordPress.com VIP team and in February 2017 some of us travelled to São Paulo to visit our client, Abril. 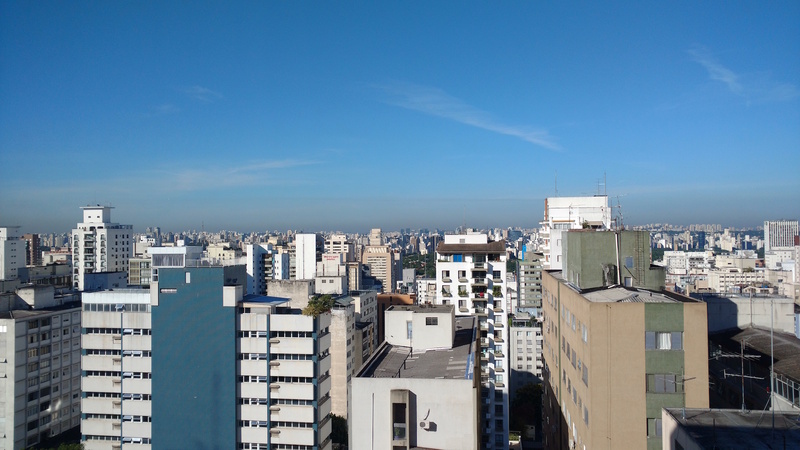 The whole week was a great experience, not just to see colleagues, visit the fine folks at Abril and all work together, but also to see a bit of São Paulo. 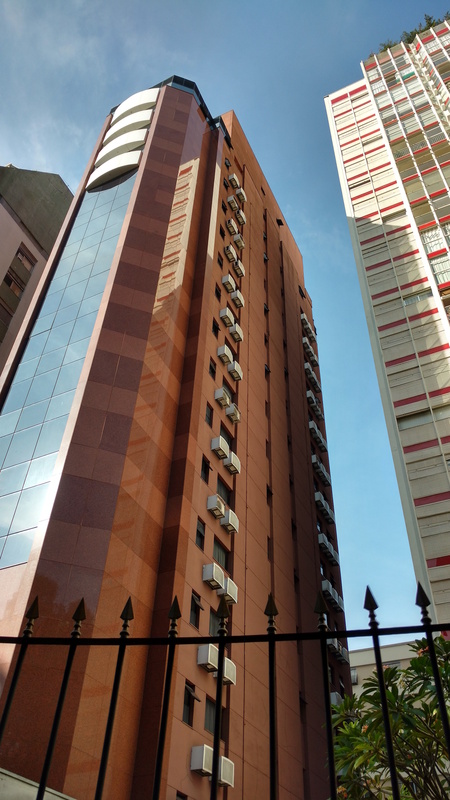 My first impressions of São Paulo were its vastness, traffic problems and heat. The skyscrapers seem truly endless and it appears to me that in the same way life in Brazil’s rainforests is in the vertical, so too is life in the vertical in the city. Security is big with gated skyscrapers, houses and buildings with security apparent everywhere. Nestled among the skyscrapers are buildings that didn’t get pulled down and are now in many cases protected, and everywhere are trees that survived urbanisation, a reminder of the landscape the city was built on. There is also great contrast between rich and poor with many living in ramshackle buildings, the favelas which I didn’t see, or sleeping rough. There aren’t parks with the wide open spaces that Europeans would recognise, rather gated off areas where the rainforest has been left. There is no shortage of restaurants and bars in São Paulo and the night life is vibrant. The city looks better at night and there is something to be said for being able to sit around in light clothing at all hours. The coffee is great and the traditional dishes such as Feijoada super tasty. 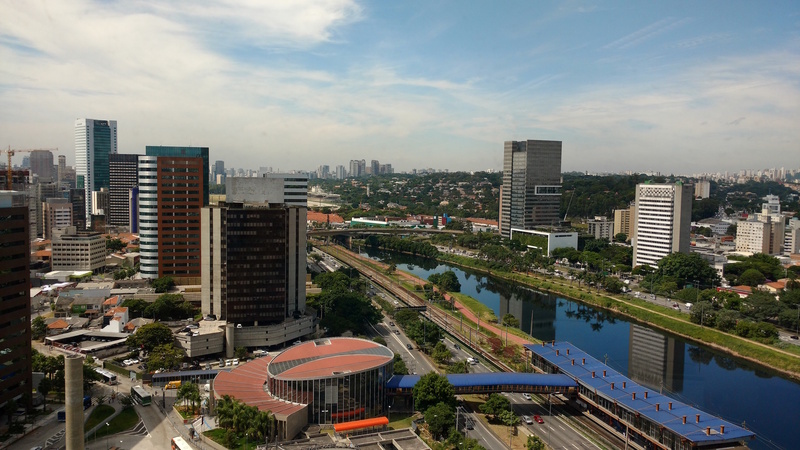 My lasting impressions will remain the vastness and density of the city, the traffic problems, the trees and rainforest parks, the heat, the great food and very warm and friendly people. Very nice post. Your impressions are spot on. 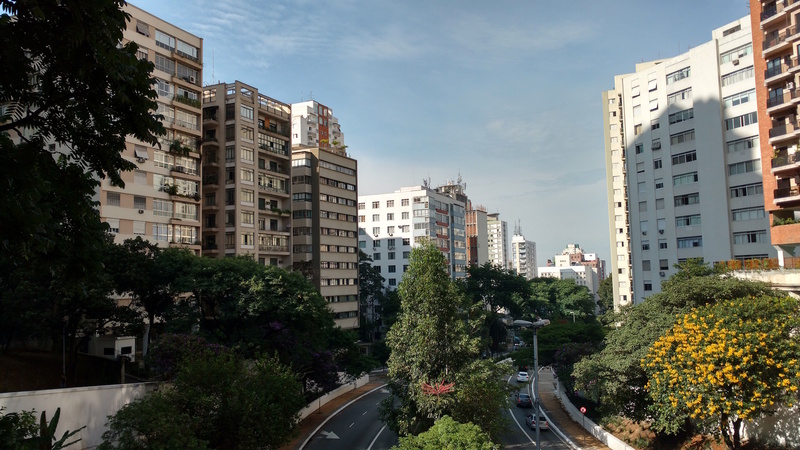 You haven’t seen any favelas because the Sao Paulo government removed all of them from the central part of the city about 20 years ago, in an attempt to hide the social problem (a dirt under the rug kind of tactic). I’m very sorry I missed you guys on Thursday evening. I went to Coqueiro (aka the watering hole) but you guys had left just 5 minutes earlier. 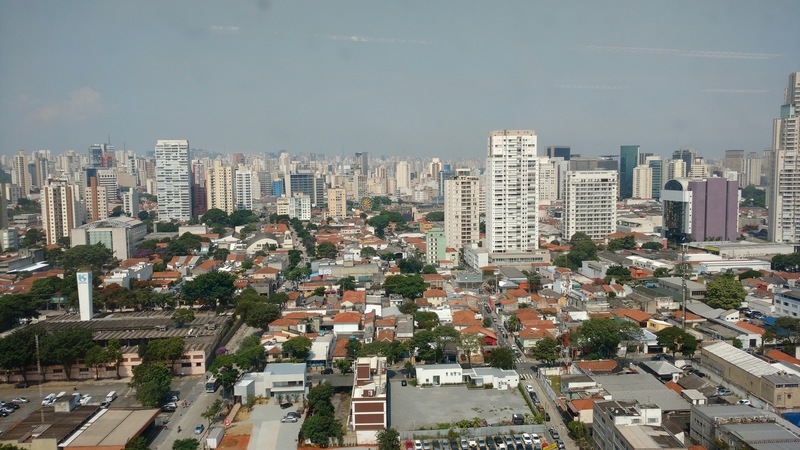 I remember the marginal in São Paulo was so polluted that it was solid enough to walk on. Doesn’t look like much has changed. Good post.